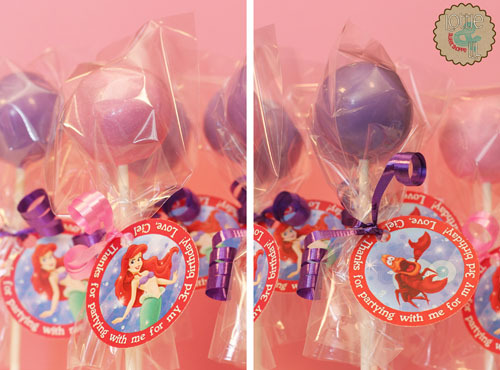 Custom designed tags make the perfect finishing touch to your cake pop. They can display a special message or amplify your party theme. 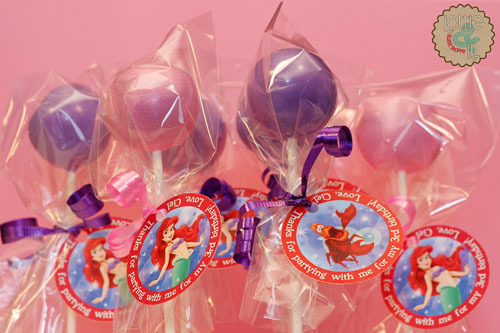 These Little Mermaid tags were designed to thank party guests for coming to Ciel’s 3rd birthday. Ask us how we can design tags to add the custom touch to your next celebration! This entry was posted on Thursday, April 26th, 2012 at 8:00 am	and is filed under Birthday Pops, Recent Creations.